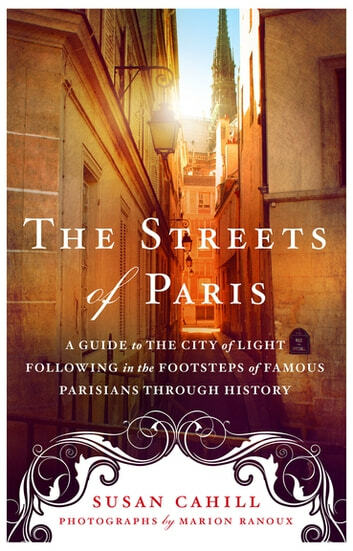 From the author of Hidden Gardens of Paris, The Streets of Paris is Susan Cahill's wonderfully unique guide to present-day Paris following in the footsteps of famous Parisians through the last 800 years. For hundreds of years, the City of Light has set the stage for larger-than-life characters—from medieval lovers Héloïse and Abelard to the defiant King Henri IV to the brilliant scientist Madame Curie, beloved chanteuse Edith Piaf, and the writer Colette. In this beautifully illustrated book, Susan Cahill recounts the lives of twenty-two famous Parisians and then takes you through the seductive streets of Paris to the quartiers where they lived and worked: their homes, the scenes of their greatest triumphs and tragedies, their favorite cafes, bars, and restaurants, and the off-the-beaten-track places where they found inspiration and love. From Sainte-Chapelle on the Ile de la Cite to the cemetery Pere Lachaise to Montmartre and the Marais, Cahill not only brings to life the bold characters of a tumultuous history and the arts of painting, music, sculpture, film, and literature, she takes you on a relaxed walking tour in the footsteps of these celebrated Parisians. Each chapter opens with a beautiful four-color illustration by photographer Marion Ranoux, and every tour begins with a Metro stop and ends with a list of "Nearbys"—points of interest along the way, including cafes, gardens, squares, museums, bookstores, churches, and, of course, patisseries.